Lark Writes...on books and life: Got Mail? 1. 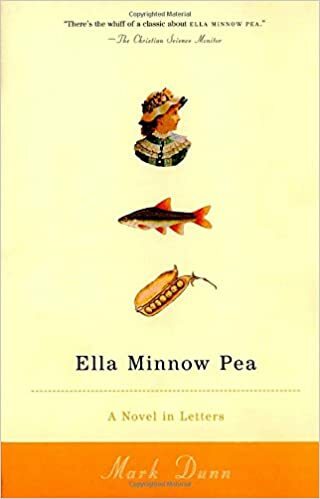 Ella Minnow Pea by Mark Dunn is an epistolary gem. Find out what happens on the Island of Nollop when the use of alphabet letters--written, spoken, or read--are outlawed one by one. No one misses Q or Z. Even losing J, K, and D isn't too bad. But the leaders of Nollop don't stop there. This book is so cleverly written I absolutely love it! 2. 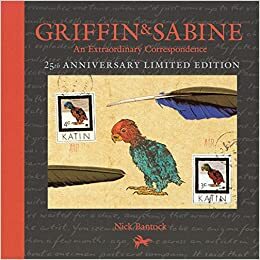 More than a story, Griffin and Sabine by Nick Bantock is a visual treat. I love Bantock's collaged postcards. Even better, the letters in his book are real. You get to pull each one out of its envelope, open it up and read it. Could anything be better than that? 3. 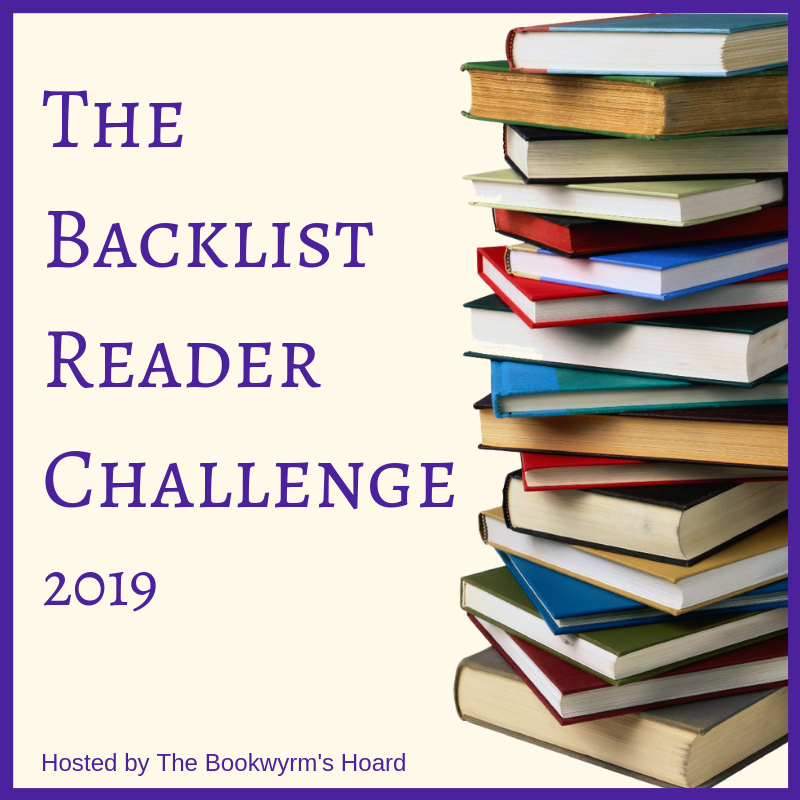 Last, but certainly not least, is The Guernsey Literary and Potato Peel Pie Society by Mary Ann Shaffer and Annie Barrows. Set on the Isle of Guernsey during and just after World War II, this is an unforgettable story of love and survival delightfully told in letters. I recently reread this book and it was even better the second time around! Each of these epistolary novels is like opening a letter from a friend. They really don't; I'll always think letters are better (even if they're not as quick or as convenient). 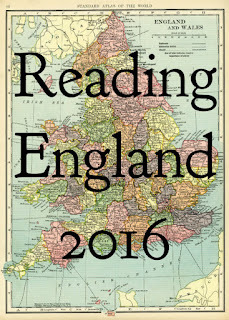 Hope you can make time to read The Guernsey... novel. It's such a great book! Ohh I've had the last title on my shelf for a while, just haven't gotten to it yet. Thanks for mentioning it!! It's definitely worth reading. It's one of those books that you quickly get caught up in the story, and then you don't want to put it down. I loved The Guernsey Literary and Potato Peel Pie Society! Your blog post makes me want to pull it off the shelf and re-read it. I too am sad about the lost art of letter writing. Funny how people don't want to take the time to write a real letter, but everyone still enjoys receiving one! So true! Letters are getting to be a lost art form. And that makes me sad. 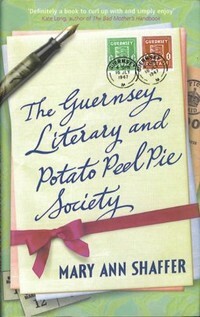 The Guernsey Literary and Potato Peel Pie Society is one of my all time favorite books! Isn't it a great book? I wish there were more books just like it. 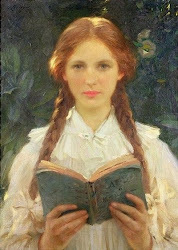 The Guernsey Literary and PPS is an amazing and lovely book, I loved that one. I agree, emails are great, but nothing beats a hand written letter? I often shy away from epistolary novels because I feel panicky at not have a narrator, and then I plunge ahead and find that I like the novel (despite or because of?) the epistolary style. I really enjoyed the Guernsey novel, and felt it did a superb job of unfolding the story with this technique. 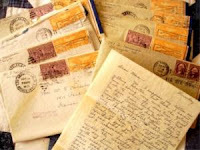 The Last Runaway isn't pure epistolary, but includes a lot of letters from Honor to her family, in particular, and key events are communicated in this fashion. I like realism (including magical realism) and I think letters really support the believability of a fictional world. Oh, I love epistolary novels! All of these ones, and more. 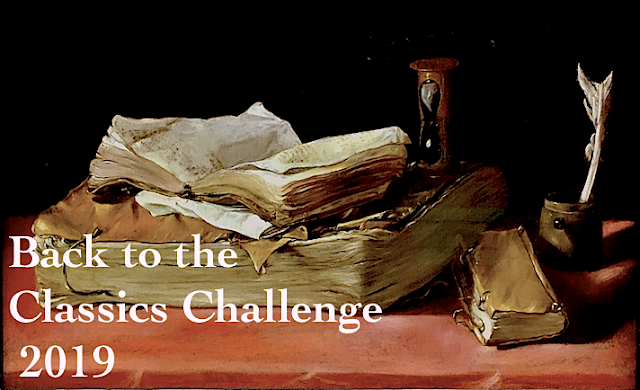 I'm hosting a Postal Reading Challenge on my blog this year, if anyone wants to join in and share your epistolary reading -- it's very casual and ongoing until the end of the year!